What truly happened in Saint Rhodes? 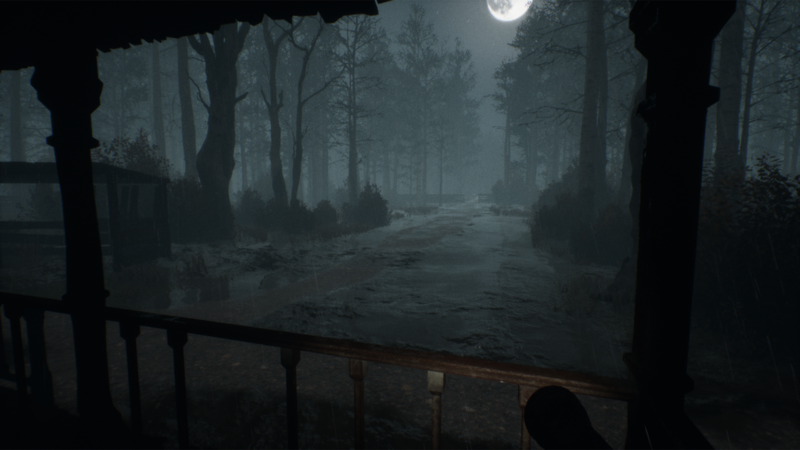 Lunacy: Saint Rhodes is a first-person survival horror game in which you seek the truth behind your family’s horrific murder. Investigate the history behind your ancestral home and the town of Saint Rhodes, while fighting to survive what haunts it. Uncover your family’s troubled past as you descend further and further into insanity. Introducing The Author: an advanced artificial intelligence that observes how you play and adapts to your every move, making sure you are never really safe. In Lunacy: Saint Rhodes, you never know what’s waiting around the corner. Lunacy: Saint Rhodes is a truly terrifying experience, featuring a detailed world that tells the story of what happened in the haunted town of Saint Rhodes. Frightening creatures roam the town, guided by the Author, as you explore Saint Rhodes in search of clues to help you survive. No single visit to the town will be the same, with multiple non-linear paths that lead to different outcomes. come on,i want to play this game,where is demo? ?/how make donate to play??? Look's pretty Impressive to me. How can we play this trial version? Hey, the footage looks amazing. And i can't wait to play the full game. Good game, probably one of the scariest so far. I love what you did with it. The atmosphere was awesome nice creepy vibe, and that thunder scared me a lot too., I had chills through out the whole game play. Please do more games like this. Check out my video. Awesome game, Scared me until the end of the game. Game doesn't even download. Donated for the demo download and keep getting an error. Do not donate the download does not work. Hello, contact me at lunacythegame@gmail.com to help you download it! dang this game gave me goosebumps! This is one of those game you just want te keep playing! really good guys! loved it. Hey guys, loved the game. Here's a vid of us playing it. Gets pretty loud at times, but overall we had a blast. I'm excited for the full release! I didn't get to complete the demo. but it is really good and promising. Excited for the full release! I don't believe I've beaten the demo yet, but I put about an hour and a half into playing it last night. Before getting fully into my review of Lunacy: St. Rhodes, I want to say that this is an excellent little horror piece that deserves all the praise. 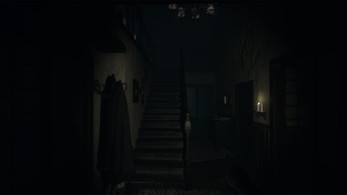 I have been looking for something new to genuinely creep me out, and after countless duds, this game truly gave me goosebumps while playing, and made me shout countless expletives while streaming it. Overall, I would give this demo a solid 7.5 / 10. Here is the VOD from my Twitch stream of it. So, on to a more in depth reason for my 7.5 / 10 rating. First, the good things about this game. The atmosphere and attention to detail is astounding. I appreciate how there are obvious attempts to use something other than the basic and free assets available for Unity, and some real artistic liberty seems to have been taken in designing this house. The textures are buttery smooth, the lighting effects are spot on, and the overall layout of the house is both intuitive and challenging at the same time. Sound design here is also beautiful. The sounds of the storm act wonderfully to create a nice, eerie backdrop to the whole thing unfolding, while the random thunder and lightning does a great job at providing extra little jumps. While being chased by the demon, the way the audio distorts is quite nice, albeit a little stereotypical for the genre. And finally, the voice acting is wonderful. I understand that it's mainly just a bunch of moaning and screaming, but the way it is implemented does truly shock and horrify. Finally, it seems that there is a bit of randomization on the placement of the keys and notes upon multiple plays, which I think is nice. It prevents anyone from speedrunning the demo, and allows all of the scares to still make their appearances. I wanted to make this part a separate thing, and that is the character modeling. I quite like the way that the demon is designed. This lurking shadow figure with two small white eyes that has a bellowing scream, lets just say I let out a vulgar shout the first time I saw it. 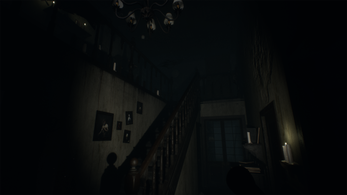 On top of this, I appreciated the (what I am assuming are) nods to games like P.T. and the RE7 demo. The mannequin sequence caused a whole lot of "nopes" from me. On to the unfortunate aspects of the demo. While I realize this is early access, I did not include the multiple game-crashes during my playthrough into the overall rating. But those crashes were frustrating and did seem to break the immersion at times. What I really just did not like about the demo was the motion blur and seemingly exaggerated "walking camera movement." I don't think that the camera moving in sync with the character's walking is a bad thing, I just feel it can be downplayed a bit, because it's rather disorienting while running. But that motion blur, it not only caused me some discomfort while playing, but also caused my viewers to click away from the stream at times where I was just exploring the house. I think the blur is a nice effect for sequences when you're being chased, for it adds a bit more disorientation to the game, but as a constant, it just gets stale and frustrating. Not as important, but still could be addressed, are the hit boxes for the interactions seem so small, that there were times I spent far too long moving and re-positioning in order to simply open a drawer or grab a key. Finally, I felt as though the game was almost TOO dark, visually. Either the flashlight needs a bit of an upgrade, or the overall gamma needs to be, at the very least, adjustable. The textures and visuals in this game are so beautiful, but a lot is lost to the excessive darkness. I don't think this should be a game with bright light by any means, but just a little extra visibility would be excellent. This demo is incredible. Genuinely terrifying, the jumpscares are crafted and spaced apart expertly, and I truly cannot wait to play more of this, if there is a "full" version on the horizon. Apologies for the lengthy review, but I wanted to do my part to help the devs considering they are giving away such a well crafted and enjoyable experience. Excellent work, LunaSouls. I wasn't able to beat the demo, but this game has some potential. Maybe it was the laptop that was giving me issues. I really don't know. I will retry and beat the demo maybe on my own, but I had to make a video of me playing it for the first time at least. Thanks, LunaSouls! Just played this game today, and OMG did I scream. Definitely the first game to make me freak out! Link to the video below! Don't forget to do the YouTube thing and Like, Comment, and Subscribe it does help the channel grow and I will see you all in the next video! Demo's should not cost money. Especially when they're just key quests. Sorry, man. I know game development is hard. But for real. It doesn't cost money - you can choose to support the developer by tipping and get the demo download included, or you can get it for free by email request like clearly stated. "In order to download this game you must purchase it at or above the minimum price of 2.99€ EUR. You will get access to the following files:"
The game costs 3 dollars on itch.io. I don't care if you can e-mail them for two days trying to get the file as well. The game costs 3$ on itch.io, no matter how you look at it. A donation is not charging for a product. A donation is a donation. You don't get goods in return for a donation. Cba, you don't even understand what I said. It could be written differently, but that's it. It's people's own choice if they want to donate to support the developer or get it for free, no one is forcing you to pay for it. I really don't want to have a discussion about something that is a fact, I just find your comment really misleading and unnecessary. Cant wait to play the full version. 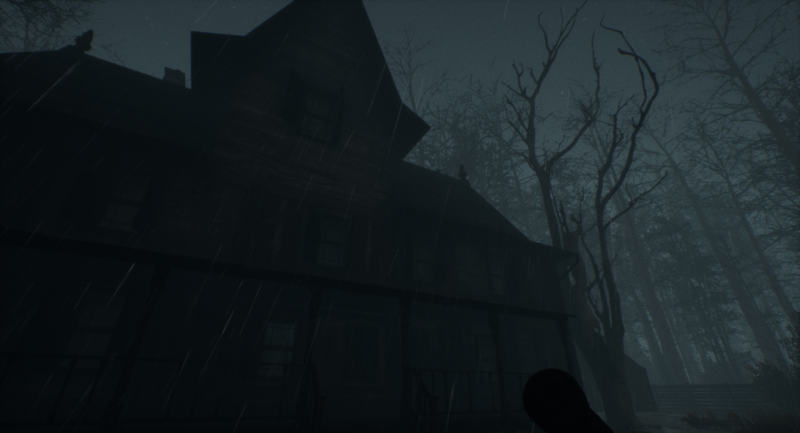 I also got the game myself and it seems like a very promising horror game, so I'm very excited about the future of this game. Hope you enjoy sodapoppin's vod, and hopefully you'll find it useful for future development! Ok, I got my strength together and I finally finished the demo, I like that some keys change position every new game, that way you have to keep on searching, maybe put them in the drawers too to make it more hard to find. One last thing, would you mind use normal names in the settings, I know that it adds to the experience but I like to know what I'm changing. Thanks and good job, keep it up! This game was a lot of fun to play, I really wish my computer could have lived up to it's full graphical quality, but still managed to get a good feel of a great start to a game! The only recommendation I have is try to separate the keys from the rest of the background, to make them a little more noticeable! *Rurr* Hello everyone, I tried out this game - although I do have some feedback/reviews/criticisms (Much about the game being Free at first - and for a Demo, and then costing Money to 'Buy a demo' makes me question the motives behind this - outside of that question and concern? A semi-unoptimized game, but it's a demo that has depth in it. Really enjoyed this. Most effective horror i've played since P.T. Would love to see more! What's up everyone? My name is Slester, this game is spooky, i will be honest. It has a really good ambience, it has is problem such us crashing which i had at the end of my video but other then that it is a cool game. Here is my gameplay hope you will enjoy it! 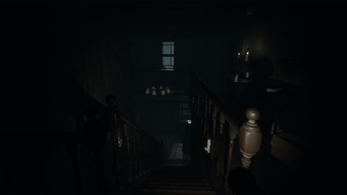 Lunacy is a short horror experience with great atmosphere and some decent scares. 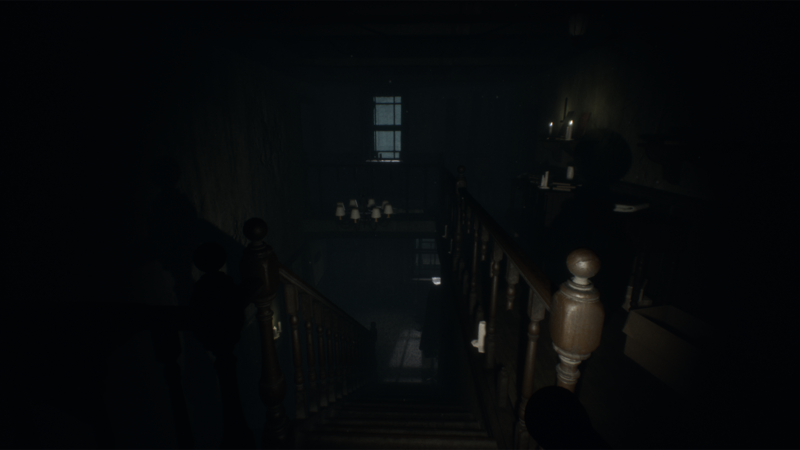 It can be tricky to identify objectives around the house which made sections frustrating to play but overall its a strong concept and I'm looking forward to more on this creepy ritual based horror game. Good Job!! Keep it up!! Awesome demo played super late last night in the pitch black. Didn't solve anything but I am definitely going to play again! Very nice game! It was scary and fun to play! What's the first thing I should say here? Well... the game is terrifying! The atmosphere presented here is outstanding, there was never a moment where I felt safe and secure. The constant sounds and noises kept me on edge for whatever was around the next corner, and the visuals only pulled me in even further. For a demo this was excellent, and I can't wait to see more from you. I hope you don't mind but I recorded a "let's play" of the game for my channel.